Professor Qiao Xiu Chen from East China University of Science and Technology joined the discussion at Coal Ash Asia this past July 21-24 in Beijing, China. 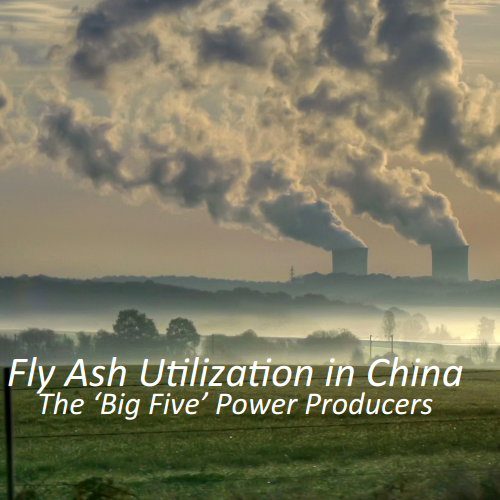 Prof Chen presented among industry leaders during the Fly Ash and Coal Gangue Track at the most recent AsianCAA event. The below abstract has been translated from its original submission to our proceedings. This conference we will show the chemical reaction variations of lime prepared at 800, 850, 900, 950, 1000, 1050, 1150, 1250, 1350°C. The calorimetry, precise measurement of lattice parameter and selected area microdiffraction of TEM were used for evaluation. The results showed that the calcite with a fineness of D100<76μm decomposed by 80% after the treatment at 800 or 850°C for 20 min. Complete decomposition occurred from the treatment at 900°C for 10 min. The maximum amount of CaO was 0.53% after the treatment at 1050°C. The amount of CaO started to be higher than 1% from the treatment at 1150°C and was more than 30% after the treatment at 1350°C for 20 min. The CFB ash does not show a negative effect on the soundness of cement when the highest combustion temperature in the boiler is lower than 1050°C.